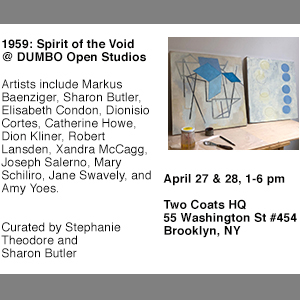 Longtime readers may recall my evolving ideas about the paIntings of Ab-Exer Adolph Gottlieb (b. 1903, New York City), and this summer there’s another opportunity to see his work in “Image and Abstraction,” the star-studded, multi-generational group show at Pace. 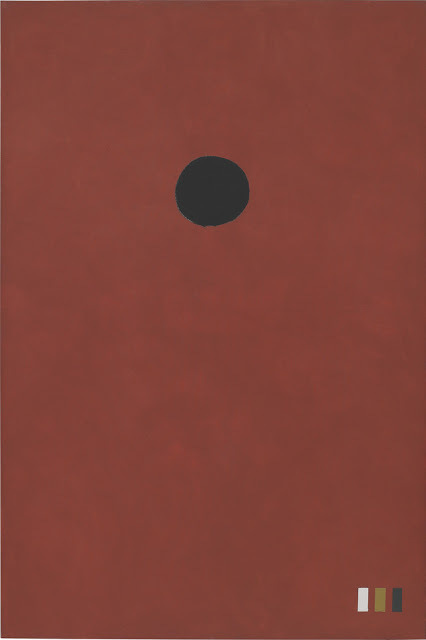 Here are a few Gottlieb images I downloaded from their website. Is his work, given its clunkiness, a forerunner to Provisional Painting and Casualism? 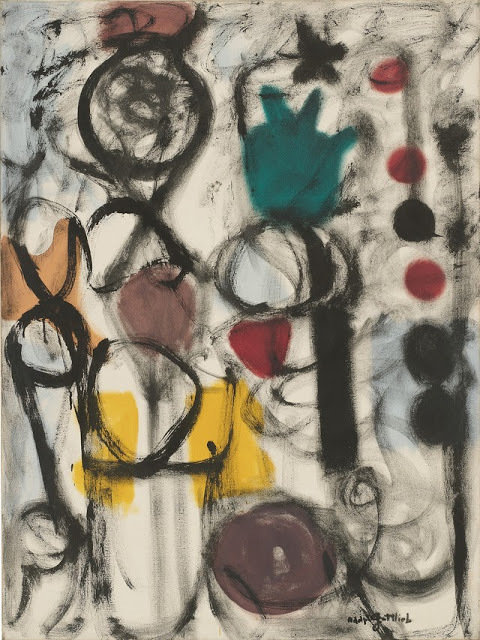 Adolph Gottlieb, Untitled, 1967. 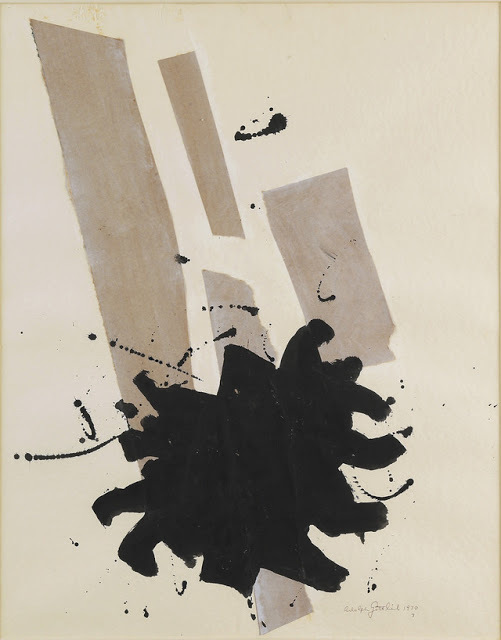 Gouache on paper, 24″ x 19″ (61 cm x 48.3 cm). 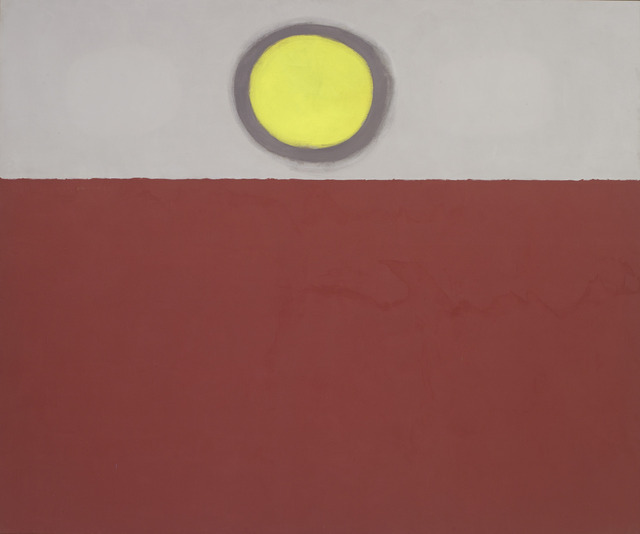 Adolph Gottlieb, Untitled, 1970. Collage and ink on paper, 24″ x 19″ (61 cm x 48.3 cm). Adolph Gottlieb, Chromatic Game, 1951. Oil on canvas, 48″ x 36″ (121.9 cm x 91.4 cm). 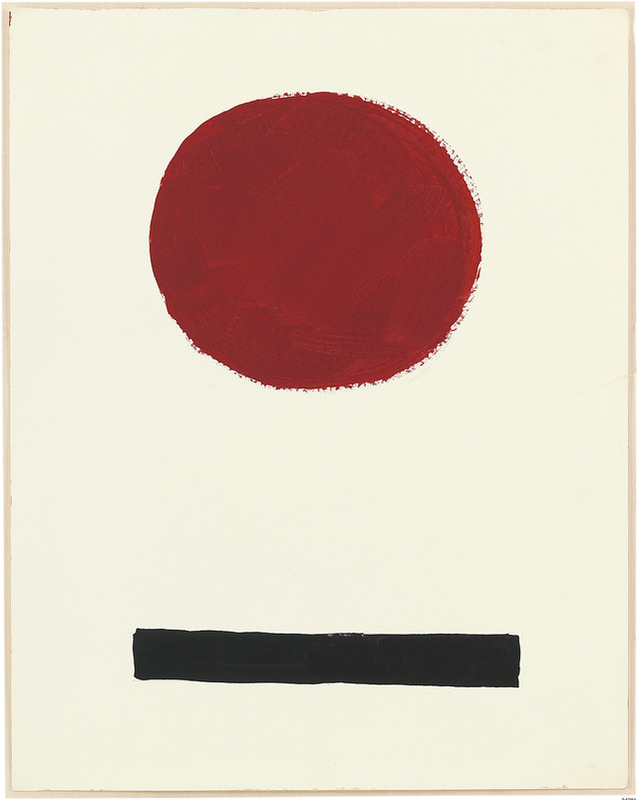 Adolph Gottlieb, The Red, 1972. Oil on linen, 90″ x 60″ (228.6 cm x 152.4 cm). 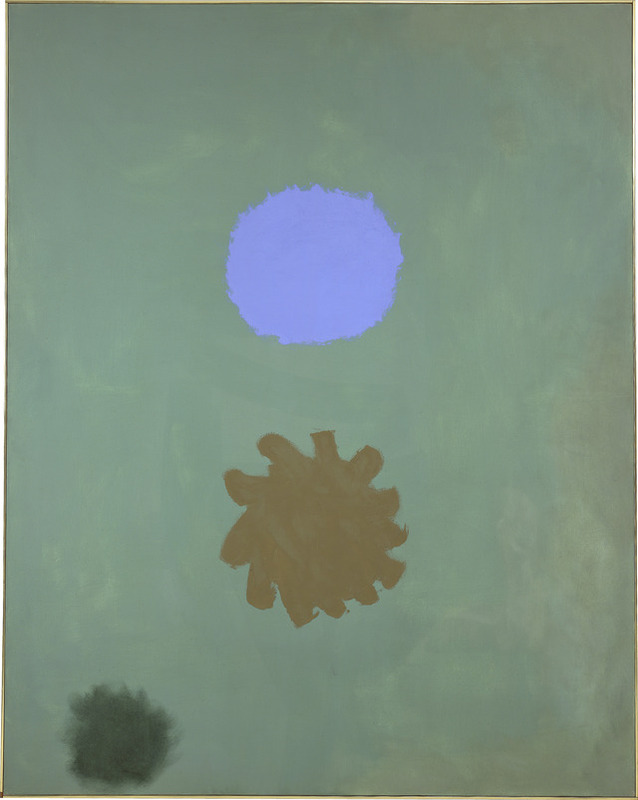 I've never been a big fan of Gottlieb but I'm taking a new look at him after seeing Ambient Green @ the Pace show. 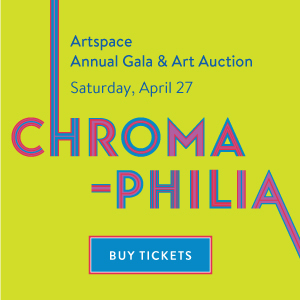 That blue was incredible!